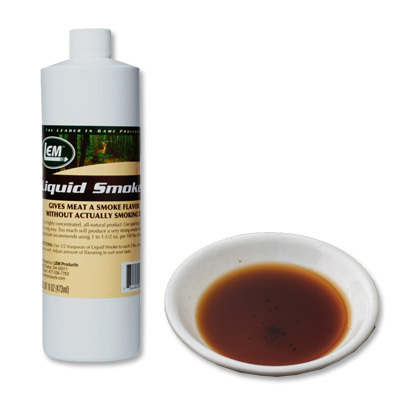 Natural Hickory Liquid Smoke (Char-sol). Made by burning green hickory wood, from which a highly concentrated moisture is distilled. Used to add smoke flavor to sausages, marinades and brines.